Hollywood Stars coming to Manila this week! | Viva La Vida! Hollywood Stars coming to Manila this week! Hollywood stars are invading the country this week and its really exciting to all see them! 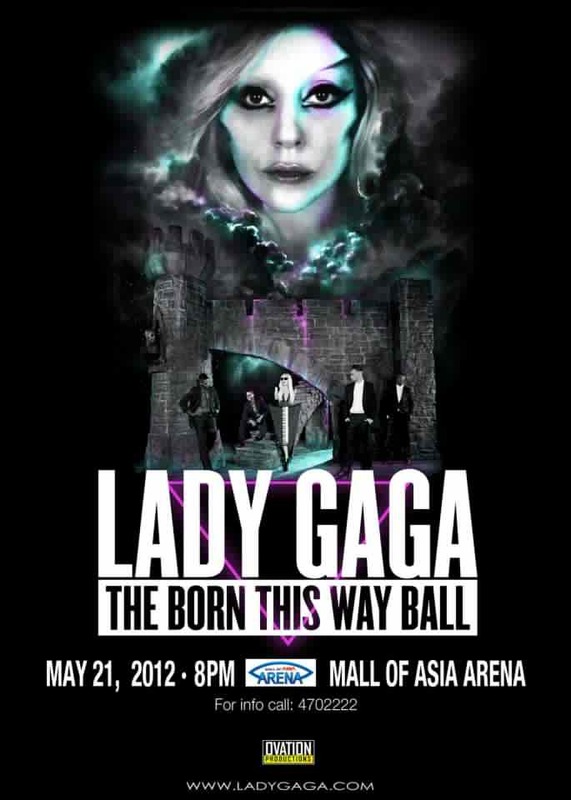 Front-lining them is Mother Monster herself, Lady Gaga, who is gracing the country once again for a two night concert at the newly opened Mall of Asia Arena. She has just arrived today. Another celebrity who is already enroute to Manila is The Vampire Diaries’ star Ian Somerhalder who will be here in Manila for a week to guest star as one of Penshoppe’s (a local clothing store) brand ambassador. He is rumoured to be modeling in Penshoppe’s Philippine Fashion Week event. Camp Rock star and 1/3 of the musical act the Jonas Brothers, Joe Jonas is also slated to come to the Philippines next week to promote Bench, another local clothing store, as one of its endorses. Penshoppe and Bench have been very active about using Hollywood celebrities in their campaigns as of late, with Ed Westwick and Zac Efron have been endorshing Penshoppe, while Bruno Mars, David Archuleta, Lucille Hale and Michael Trevino (also from the Vampire Diaries) have posed for Bench. This entry was posted in Fashion Police, Music, TV Guide and tagged Bench, fashion, Ian Somerhalder, Joe Jonas, Lady Gaga, music, Penshoppe, television, The Vampire Diaries by Roxanne Calingo. Bookmark the permalink. Pingback: Inspiration: The Queen B comes to MNL! | Viva La Vida!